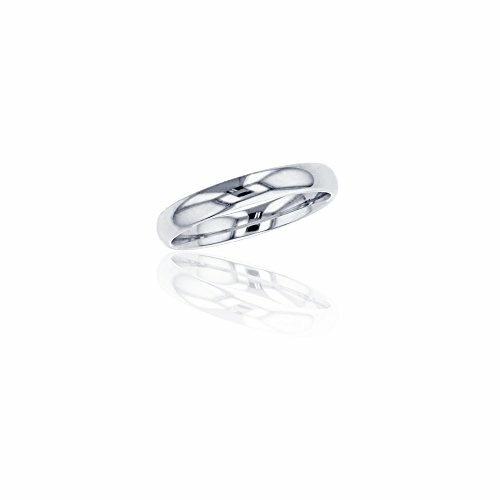 950 PLATINUM: This product is made of solid 950 Platinum and each piece is carefully trademarked with the metal purity for certification. Each piece is stamped 950 PT and that guarantees the quality and craft. SIZES & COLORS: This Band is Platinum in sizes 4, 4.5, 5, 6, 6.5, 7, 7.5, 8, 8.5, 9, 9.5, 10, 10.5, 11, 11.5, 12, 12.5, 13, 13.5, 14. HEAVY DUTY: We can assure you that this is the highest quality product that can be found on the market. Each luxury band has a significant platinum weight to it and is highly durable.